The Spalding NBA Street Basketball is a great ball for pick-up games at the park or in the driveway. This ball is made with a durable rubber cover so it holds up over a long period of time, no matter how rough the surface. This ball's deep channels and pebbled outer covering give superior grip and handling along with a consistent and reliable bounce. The NBA official logo featured on the ball, outlined in gold makes this ball look stylish. Offered at a great price, this ball is sure to give you a great fun time. Overall, the Spalding NBA Street Basketball is a nicely priced ball for rough outdoors pick-up games. Overall, the Spalding NBA Street Basketball is a nicely priced ball for rough outdoors pick-up games. With its great grip you will have good control on the ball. This ball is highly recommended by users for practice games and fun shooting in drive ways. 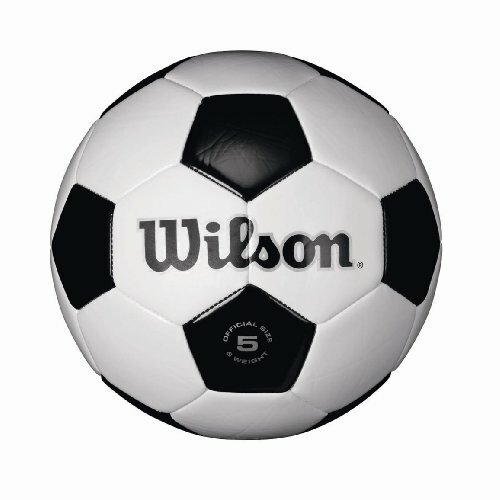 Wilson Traditional Soccer Ball is the classic Black-n-White ball which has been popular among soccer players for decades. This ball has durable synthetic leather cover with butyl rubber bladder and traditional panel graphics with silver accents. This Wilson Ball has good rebound and it kicks pretty well. The ball comes in sizes 3, 4 and 5. Wilson Traditional Soccer Ball is an inexpensive yet, good quality soccer ball. 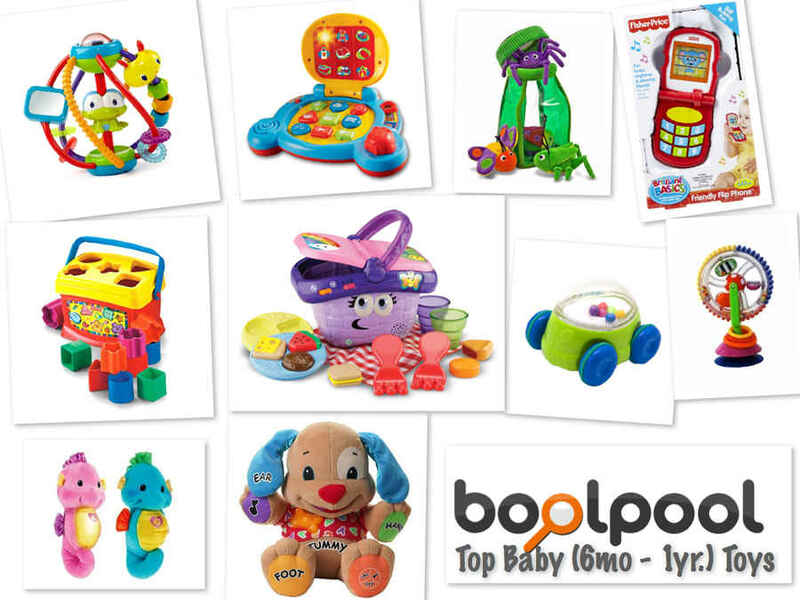 It is great for kids, adults and pets too! 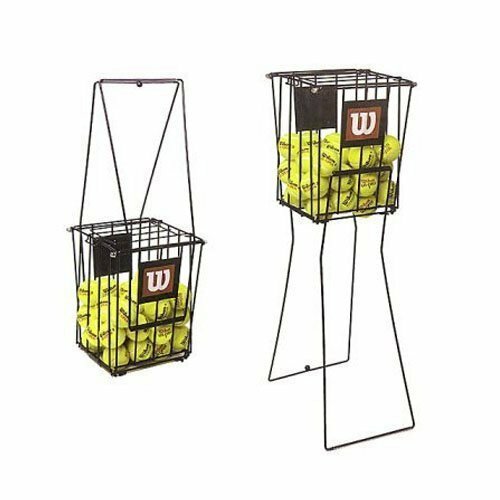 Wilson Ball Pickup 75 is a portable tennis balls hopper which can hold up to 75 balls and makes practicing on the court easier. 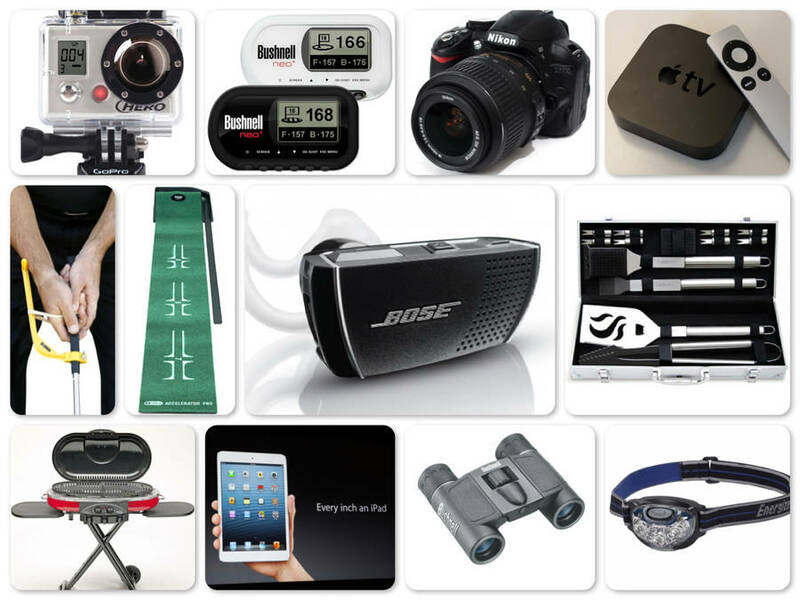 It is simple and easy to assemble and required tools are included in the box. This portable basket features durable plated steel construction and has a no-spill lid for easy transportation of balls. The handles convert to lockable legs once you reach the courts. Some reviewers complain that screws fall off very easily and whole basket falls apart. The basket feels flimsy and tips over easily because of its top heavy design. Some reviewers complain that screws fall off very easily and whole basket falls apart. The basket feels flimsy and tips over easily because of its top heavy design. Many users find it hard to lock legs in place. The hooking and unhooking mechanism is not that smooth. Overall, the Wilson Ball Pickup 75 is a decent ball hopper for its price and quality. Now you can spend more time practicing your serve and playing and less time in picking up balls on court. 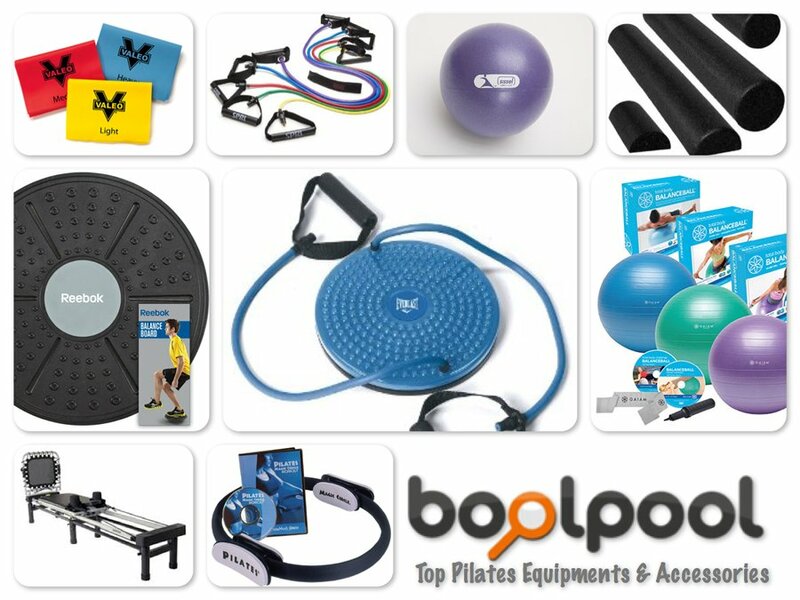 Your back will also thank you! The Wilson Evolution Game Ball Basketball is made of microfiber composite leather with deep embossed pebbles for the ultimate in feel and control. 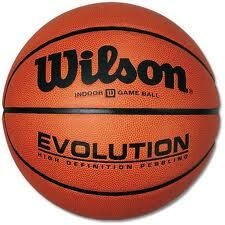 The patented Cushion Core Technology laid in the Wilson Evolution basketball enhances durability for long play. This exclusive construction gives the ball a great texture and grip. The soft grip of this ball is sure to help you out with ball handling, dribbling and bouncing. The Wilson Evolution Game Ball Basketball also lasts for a really long time, and with its features, it's really great for indoors play. Though, the Wilson Evolution Game Ball Basketball is not meant for outdoors play, it is a great choice for indoors play, promising you a good time. Overall, the Wilson Evolution Game Ball Basketball is highly recommended by players for all positions at all levels of play - game day and every day. This basketball is NCAA and NFHS approved. The BSN Heavy-Duty Mesh Equipment Bag is a great bag for carrying balls, beach toys, wet boating life vests and other sports equipment. This versatile and multi-purpose bag can hold 10-12 balls and loads of other equipment. A clipping drawstring secures the bag easily and prevents things from flying out of bag. The bag measures 32" x 36" and comes in many colors. 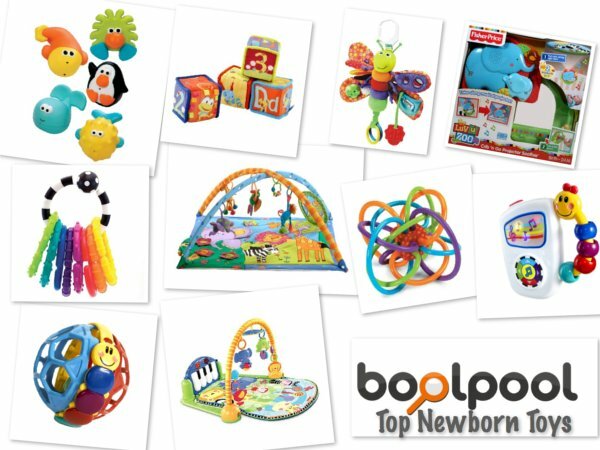 The bag is sturdy and durable and stands pretty well to rough use in playground, car trunk or sandy beach. 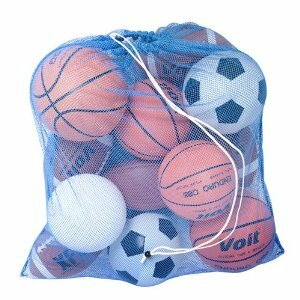 Overall, the BSN Heavy-Duty Mesh Equipment Bag is a great bag to keep all soccer balls, volley balls and basketballs and other sports balls in one place. 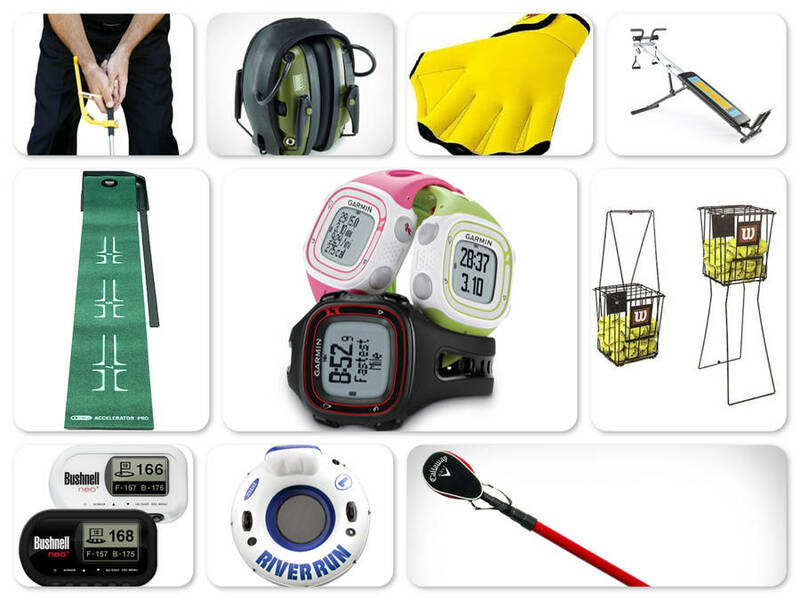 It is great for storing wet life vests, ski gear, beach toys and other sports equipment too. It is inexpensive and gives good value for money. 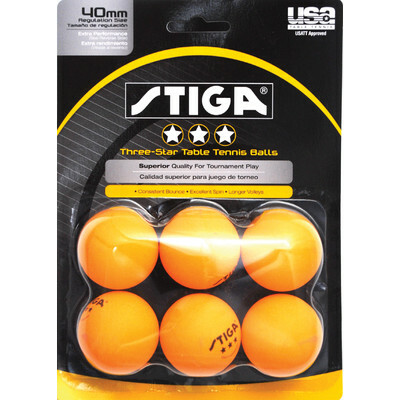 Stiga 3-Star Table Tennis Balls are high quality balls which are suitable for playing at home and in tournaments. These balls follow the standard ITTF size and weight regulation and provide better performance with consistent bounce and superior spin. Enhanced ball control and longer volleys make it suitable for extended plays and offer an extra edge to the game. User like and recommend these balls for their performance, durability and price. 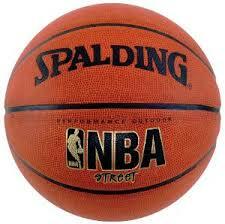 The Spalding NBA Zi/O EXCEL Indoor/Outdoor Composite Basketball is a great ball for both indoors and outdoors use. It has foam-backed design and a full-ball pebbling that provide superior grip and durability. This high quality official size ball has an amazing rebound. Even if you were to use the Spalding NBA Zi/O EXCEL Indoor/Outdoor Composite Basketball for days and months without end, this ball is sure to hold up well since it does not wear out quickly. Overall, this is a high quality ball, that although it might cost you a bit, this product is sure to be worth your money. Without a doubt, the Spalding NBA Zi/O EXCEL Indoor/Outdoor Composite Basketball is a sure fire way to spend your time throwing some shots or dunking. This versatile ball is highly recommended for indoor use. 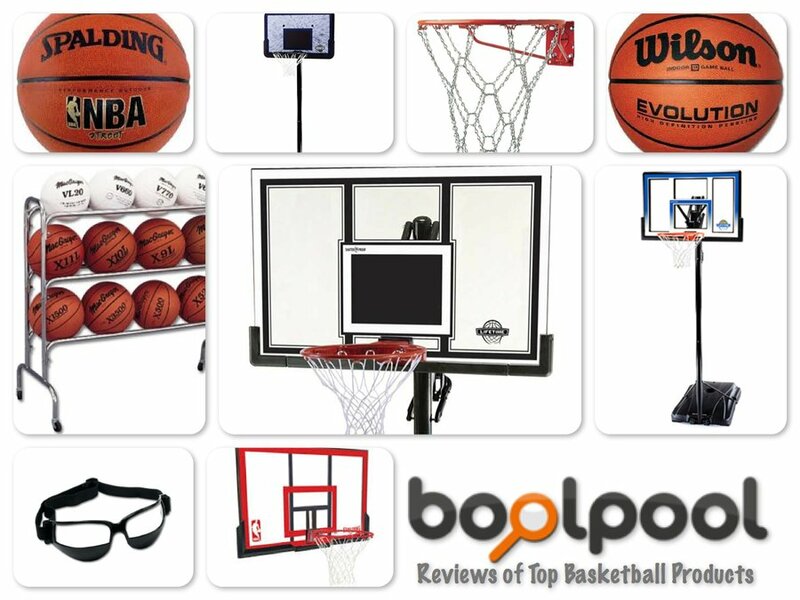 But you can forget about the surface and unleash your passion for the game with this 29.5 inch basketball. 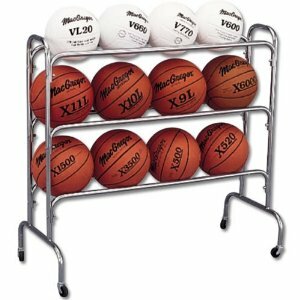 The SSG/BSN 12 Ball Wide Body Ball Cart helps you keep your sports balls easily accessible and organized. This ball cart has a wide body design for better stability. A set of 4 non-marring, hard rubber casters makes it easily maneuverable in a gym or a garage. 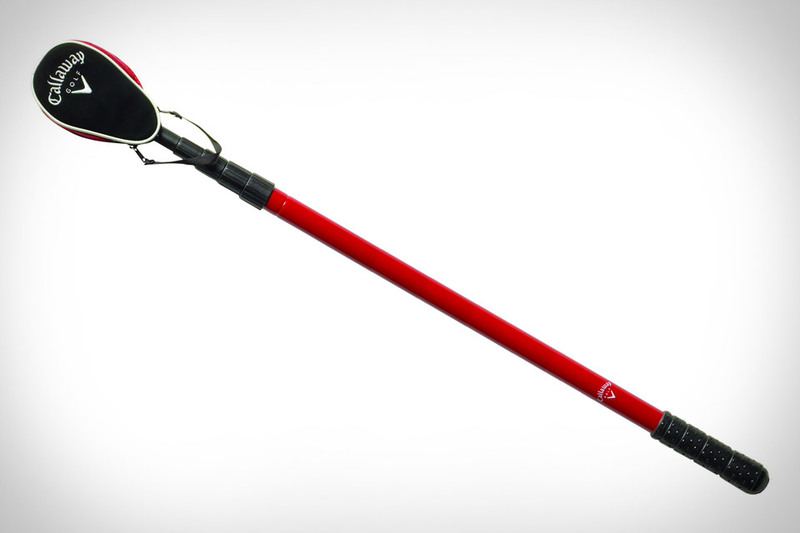 It is made of heavy-duty chrome steel tube and holds up to 12 inflatable balls. This ball cart is easy to assemble and stores very easily between practice or games. Some reviewers say that the cart squeaks and wobbles and could be little more sturdy. 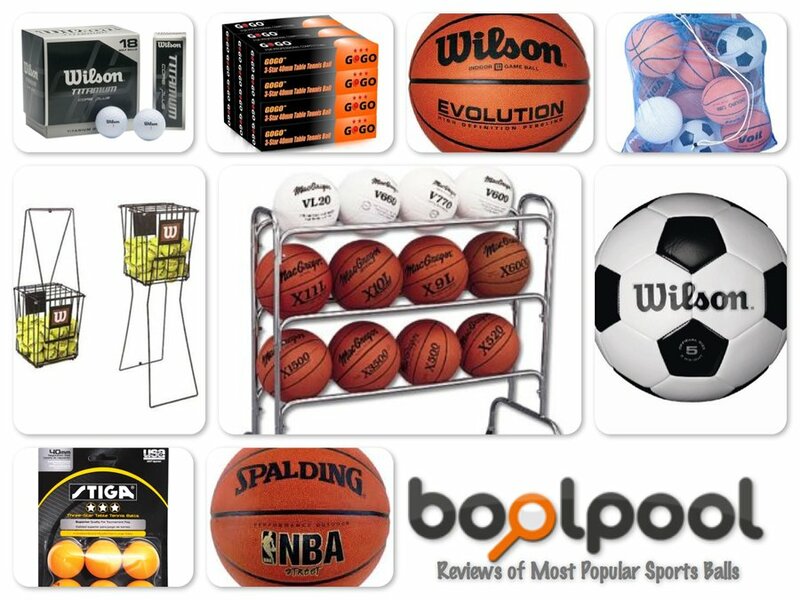 Overall, the SSG/BSN 12 Ball Wide Body Ball Cart Holds is great for organizing and storing basketballs, volleyballs, soccer balls, medicine balls and more. 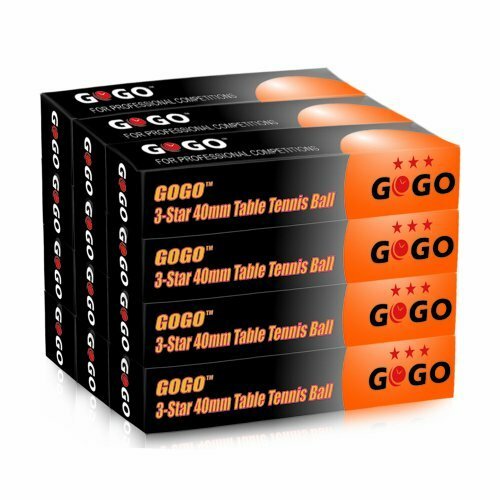 GOGO 3 Star 40mm Table Tennis balls are excellent quality and durable for all-round play. These balls are available in both orange and white color and can be used for professional training, normal games or conventional competition. These seamless balls are made of celluloid for consistent bounce, excellent spin and longer volleys. Some users feel these balls are good for training and casual play but not for high level tournaments. Overall, GOGO 3 Star 40mm Table Tennis balls are good quality for practicing or for daily game play. Users love and highly recommend these balls. 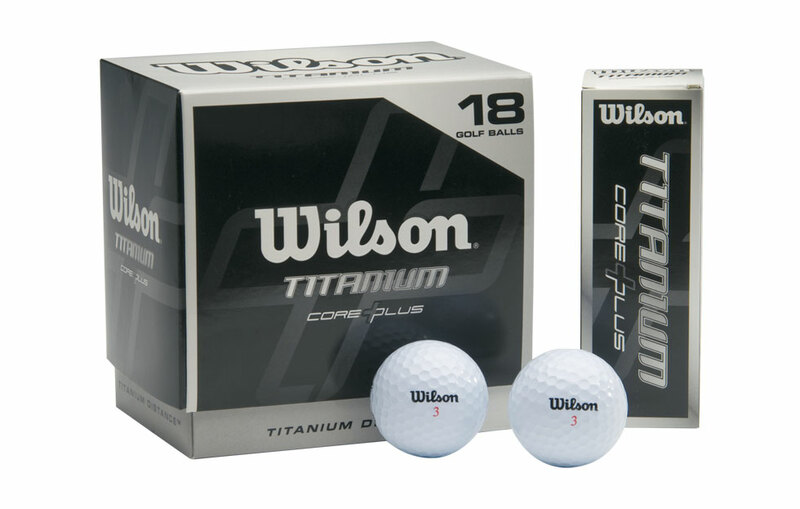 The Wilson Titanium Golf Balls feature a durable titanium core for maximum energy transfer. These balls travel far and straight every time with every shot. They are excellent value for money and you can afford to loose few balls in water hole or woods. Designed for golfers of all levels, these balls assist in reducing slices, and hook spins for precise long distance shots. Overall, the Wilson Titanium Balls (18 Ball Pack) ensure high performance delivery for a perfect game at an affordable price. 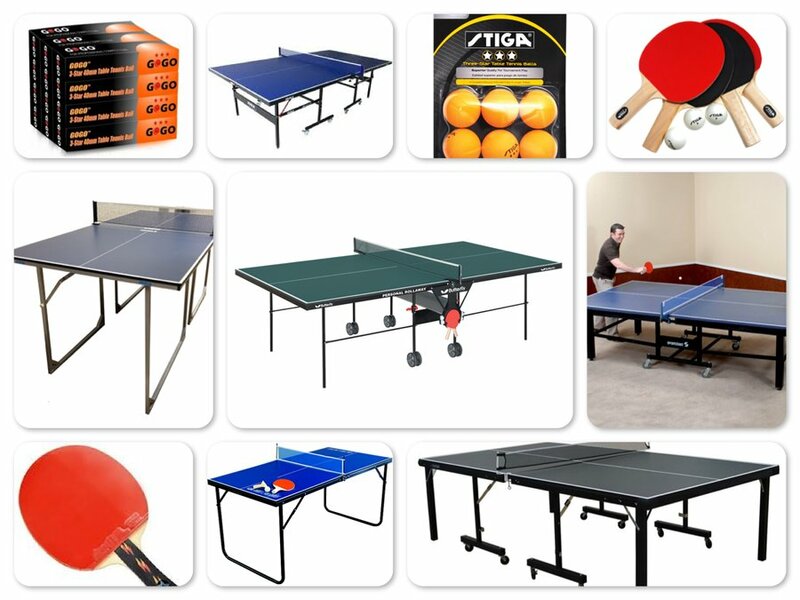 Reviews of Top 10 Table Tennis Tables and Accessories - Ping-Pong and Spin The Ball! 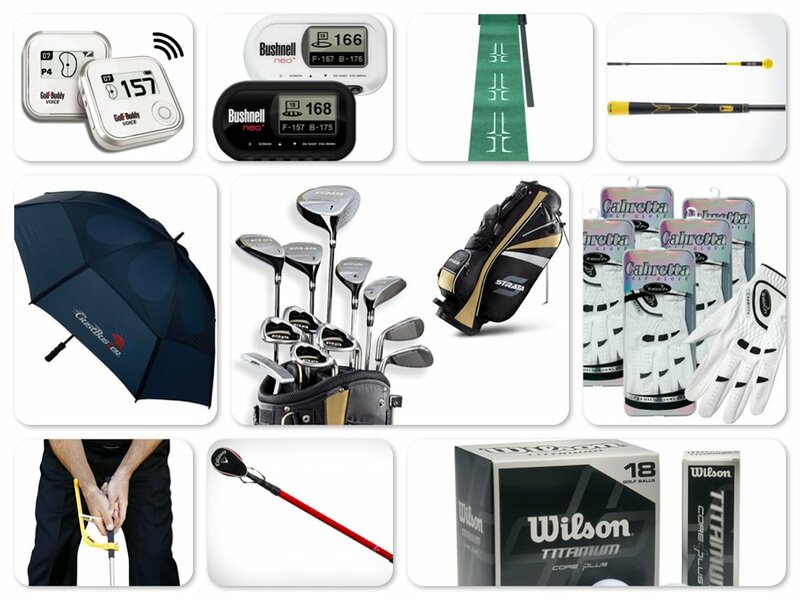 Reviews of Top 10 Golf Items - Play Your Best Game! 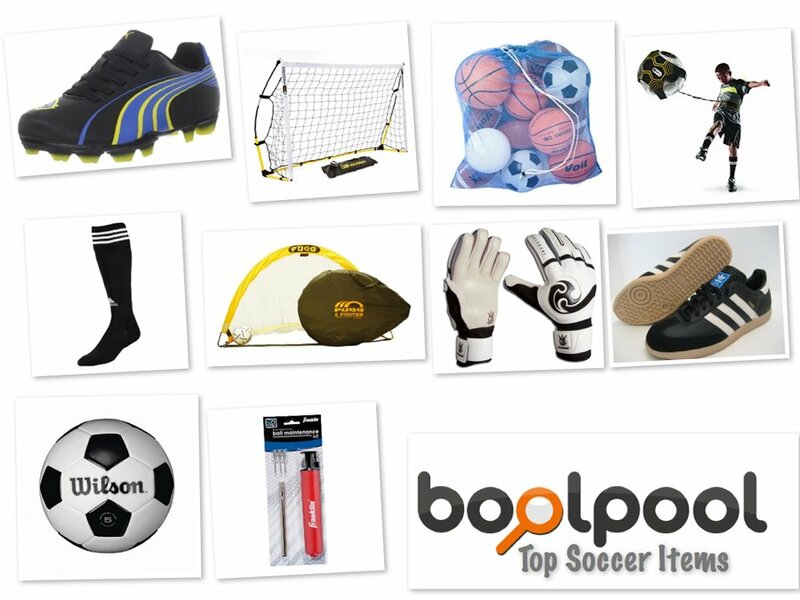 Reviews of Top 10 Soccer Items - Get Ready for Your Best Soccer Game! BlenderBottle Classic 20 oz. and 28 oz. 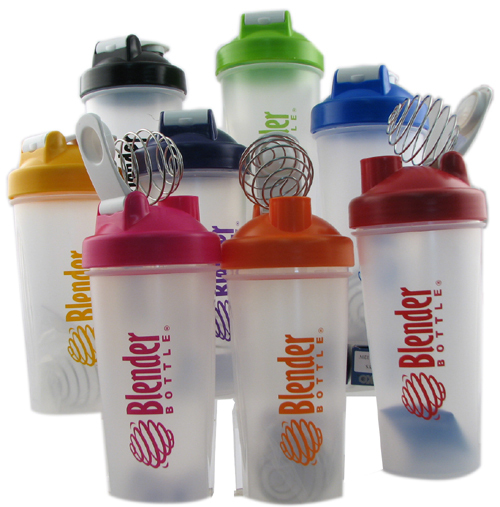 BlenderBottle SportMixer 20 oz. and 28 oz.